Director Zeinabu irene Davis’ first feature depicts two Chicago love stories, one set at the dawn of the 20th century and the other in contemporary times, featuring a deaf woman and a hearing man. Played by the same actors (Michelle A. Banks and John Earl Jelks), both couples face the specter of death when the man is diagnosed with tuberculosis in the early story, and the woman with AIDS in the contemporary one. Inspired by a poem by Paul Laurence Dunbar (who died of tuberculosis in 1906, at the age of 33), the film considers the ephemeral nature of love and life, while illustrating the enduring challenges of race and racism, over the course of a century. At the same time, Arthur and Malindy / Malaika and Nico confront intraracial differences across lines of gender, class, education and ability, emphasizing the diversity of Black experience and the necessary work of building meaningful lines of communication within the Black community. One of the most striking aspects of Compensation is its unusual narrative approach. Upon casting deaf actress Banks, Davis and screenwriter Mark Arthur Chéry modified the film to incorporate sign language and title cards, making it accessible to both deaf and hearing audiences. The film’s relative silence and use of ornate title cards also function as an homage to Black filmmakers of the silent era, to whom Davis nods when she sends Arthur and Malindy to the movies to see William Foster’s The Railroad Porter (1913), thought to be the first fiction film by a Black filmmaker. 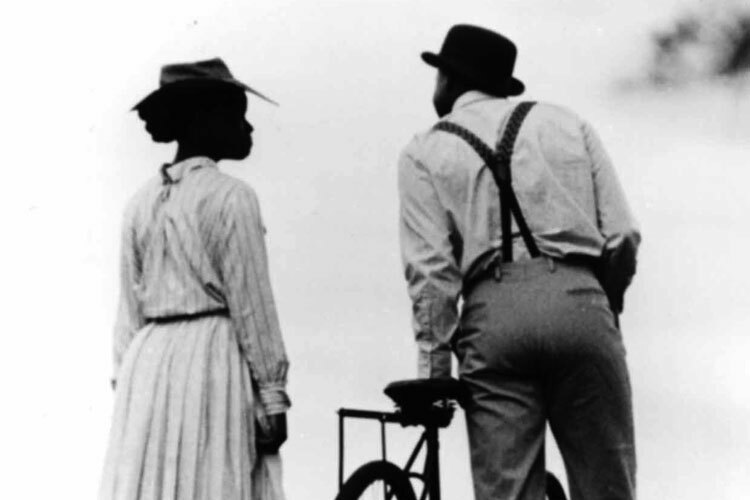 Davis’ re-enactment of this long lost film, as well as her extensive use of archival photographs and a ragtime score by Reginald R. Robinson, make visible the creative efforts required to reconstruct and understand the under-documented Black past.